(San Diego, CA)- Helm’s Brewing Company is bringing their award winning San Diego craft beer to the Midwest when they launch in Ohio starting this month. This continues the expansion outside of California in recent months for Helm’s Brewing after announcing debuts in Denver and North Carolina. Tramonte Distributing Company, based out of Akron, Ohio, will be the exclusive distributor of Helm’s Brewing products in the state of Ohio effective immediately. Tramonte Distributing will be selling 22-ounce bottles and kegs of Captain’s Pale Ale, Batten Down Brown, Wicked as Sin IPA, Beeruccino and Hop the RIPA. Seasonal offerings such as Samuin Harvest Pumpkin Ale, Chocolate Night Stout, En Garde and O.G Wheat will be available in the future. Tramonte Distributing Company adds Helm’s to their already growing craft beer portfolio to compliment their domestic and import beer line-up. “Tramonte Distributing is excited to help launch San Diego’s Helm’s Brewing Company in the state of Ohio,” said Chris Kee, Director of Sales and Operations at Tramonte Distributing. “We expect these outstanding craft beers to become a highlight of our growing craft beer portfolio”. Helm’s Brewing Company produces high quality and innovative craft beer designed not only to impress the connoisseur beer drinker, but also provide a fresh and local beer experience for the average consumer. The tasting room is part of the San Diego community brewery concept where people can stop by after work, grab a beer on the weekend and enjoy conversation with friends. 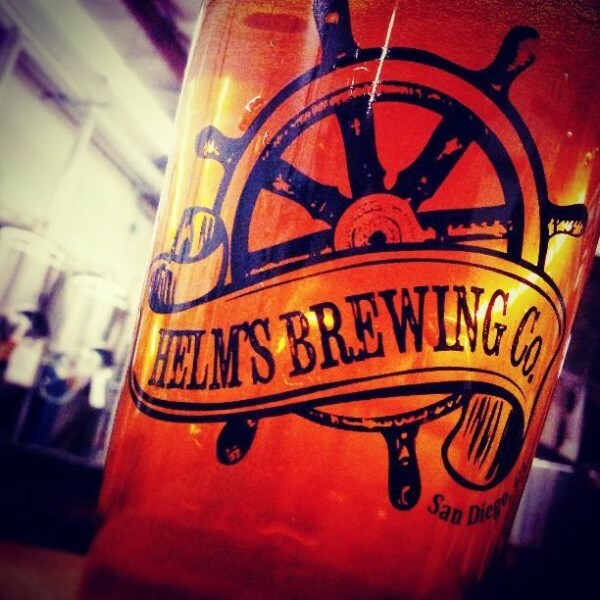 Helm’s Brewing Company is distributed in Southern California, Denver and North Carolina. Tramonte Distributing Company was founded in 1940 in Akron by Giacomo Tramonte, and, true to its roots, remains in the city of Akron where we are the only alcoholic beverage distributor. In addition to its core business, Tramonte Distributing prides itself on being a solid corporate citizen. Joining with its breweries, Tramonte is in the forefront of the effort to encourage responsible consumption, sponsoring a Safe Ride program during key holiday periods. Tramonte also offers certified TIPS training to retailers. We are a major contributor to and are activity involved in a variety of both local and national charities. From its Akron headquarters, Tramonte’s 100 employees serve customers in Summit, Medina, Portage, Wayne, Ashland, Stark, Richland & Holmes counties.